Our fees will be at an agreed rate on the amount of rent received, for our ‘Managed’ and ‘Rent Collect’ services and a fixed price in the case of a ‘Let Only’ service. 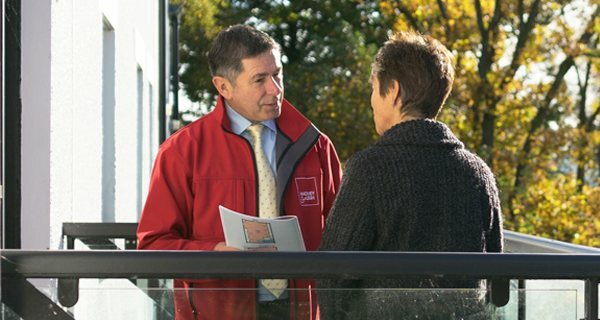 Our experienced valuer will discuss our competitive pricing structure with you during the appraisal of your property. Please note that fees and expenses may be payable if you withdraw your property prior to letting or during a tenancy and additional works for ‘Let Only’ clients may be chargeable. Full details of our Terms and Charges are contained within our Summary of Charges and Agency Agreement. We will collect the first month’s rent and the deposit and once funds have cleared, we will send you an account showing the rent received, less authorised expenses and fees. In some cases there may be a debit balance, depending on costs involved, in which case an invoice will be sent to you. Rent is usually paid to us monthly in advance and assuming those funds have cleared, we will pay net rents due to you after deduction of fees and authorised expenses by bank transfer (BACS) direct into your bank usually within 7-10 days after receipt of rent. We will pay authorised bills on your behalf out of rents received but only if we have sufficient funds available. In the case of a Furnished Property a charge of £45 (inclusive of VAT) is payable for the preparation of a full inventory. All rents/deposits received are held in non-interest bearing Hackney & Leigh Ltd Clients Accounts at Natwest Bank PLC. All Client Monies are protected under the RICS Code of Conduct. VAT is included in the prices quoted above and may be subject to change based on prevailing rate. All tenant deposits are registered and protected by “My Deposits”in accordance with the Tenancy deposit Scheme Regulations. 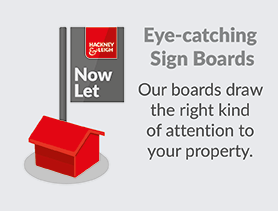 Hackney & Leigh are regulated by the Royal Institution of Chartered Surveyors (RICS) providing client Money Protection and belong to Government Authorised “Property Redress Scheme” (PRS). An in-going deposit (sometimes known as a bond) will be taken for each tenancy, normally equal to one month’s rent plus £100, possibly more depending on the fixtures and fittings but up to a legal maximum of two months. An enhanced deposit is often taken where pets are allowed. This is held by us throughout the tenancy and is protected by a Government-authorised insurance scheme operated in accordance with the Tenants Deposit Regulations (Housing Act 2004) by ‘mydeposits’ who charge a premium for registering each tenancy. When the tenant leaves the property, the inventory and condition of the property will be checked and the deposit returned in full unless a retention is required. In that case both landlord and tenant must agree the amount to be deducted. If agreement cannot be reached, the deposit will be retained and the dispute will be referred to the Dispute Resolution Service for arbitration. By confirming our agency, you authorise us to protect deposits on your behalf. The Proceeds of Crime Act 2002 applies to lettings and in common with many businesses, we are required to undertake ‘Customer Due Diligence’ and obtain verification of all new clients who will be asked to provide personal identification and proof of address. HMRC provisions require us to submit a return of rents received on behalf of all landlords. In addition we must retain standard rate income tax on net rents received for overseas landlords unless an NRL8 exemption letter and NRL number is obtained from HMRC. If you are an “Overseas Landlord” or will live overseas for more than six months you should register with the Non-Residents Landlord Scheme (if more than one owner, all parties must register). Tax Demands made will be paid in accordance with current legislation by which we are bound. Rental Income is taxable and should be declared on your Tax Return. Tenants are responsible for the Council Tax. Please Note: You should obtain the consent of your mortgage company before letting a mortgaged property. A leasehold property (eg in a block of flats) may also require the consent of a freeholder or ‘head-lessee’ prior to letting. In both cases we must have confirmation of the consent and details of any terms with which we or the tenants must comply. You should advise your insurers of your intention to let the property. They will advise on any changes to cover and exclusions required. ‘HomeLet’ specialise in lettings insurance and as an Introducer to HomeLet, we are can provide information on buildings or contents cover.